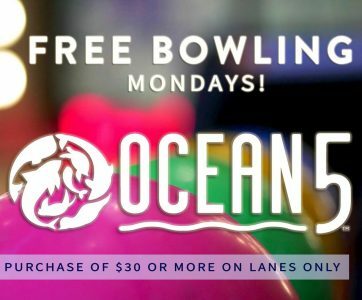 Bowl for FREE on Monday nights at Ocean5! Spend $30 on food and drinks per lane during an hour of bowling and we’ll comp your game fees. ($5 per person for bowling) BRING Family! RALLY your friends! Come any Monday night to have a blast!